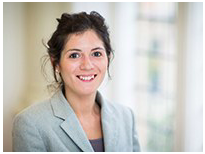 Hannah Maslen is the Deputy Director of the Oxford Uehiro Centre for Practical Ethics, University of Oxford. She works on a wide range of topics in applied philosophy and ethics, from neuroethics to moral emotions and criminal justice. Hannah is Co-PI on BrainCom, a 5-year European project working towards the development of neural speech prostheses. Here, she leads the work package on ‘Ethics, Implants and Society’. 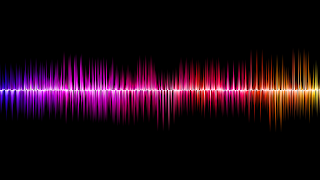 Scientists across Europe are combining their expertise to work towards the development of neuroprosthetic devices that will restore or substitute speech in patients with severe communication impairments. The most ambitious application will be in patients with locked-in syndrome who have completely lost the ability to speak. Locked-in syndrome is a condition in which the patient is awake and retains mental capacity but cannot express himself or herself due to the paralysis of afferent motor pathways, preventing speech and limb movements (except for some form of voluntary eye movement, usually up and down) (1). BrainCom is a European Commission Horizon 2020 project that brings together engineers, neuroscientists, clinical researchers, and clinical practitioners to advance the basic understanding of the dynamics and neural information processing in cortical speech networks in addition to developing speech rehabilitation solutions using innovative brain-computer interfaces. The basic idea behind the technology under development is that arrays of microelectrodes can be implanted onto the surface of an area of the brain involved in the production of speech. 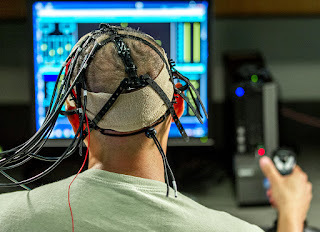 These electrodes would continuously record activity from these speech brain areas, and this activity would then be fed into a brain-computer interface (which processes and decodes the signals) so that they can finally be externalized as synthesized speech (2). One plausible recording site in the brain is the articulatory motor cortex – the part of the brain that controls the movement of the mouth, tongue, throat, etc. when talking. A user of the neuroprosthetic device would need to speak covertly – that is, clearly imagine herself speaking, like saying something loudly ‘in her head.’ The brain activity that is generated when people engage in covert speech approximates the brain activity generated when actually speaking out loud. This gives rise to the possibility of mapping the motor features of speech (which the brain activity represents or underlies) to the acoustic properties of those motor features, so that they can be ultimately produced as synthesized speech. The research is still in its early days, and devices are not yet being trialed in patients with severe communication impairments. However, when the research and eventual application reaches the clinical population of intended users, there will be a number of challenges relating to obtaining the informed consent of those users. 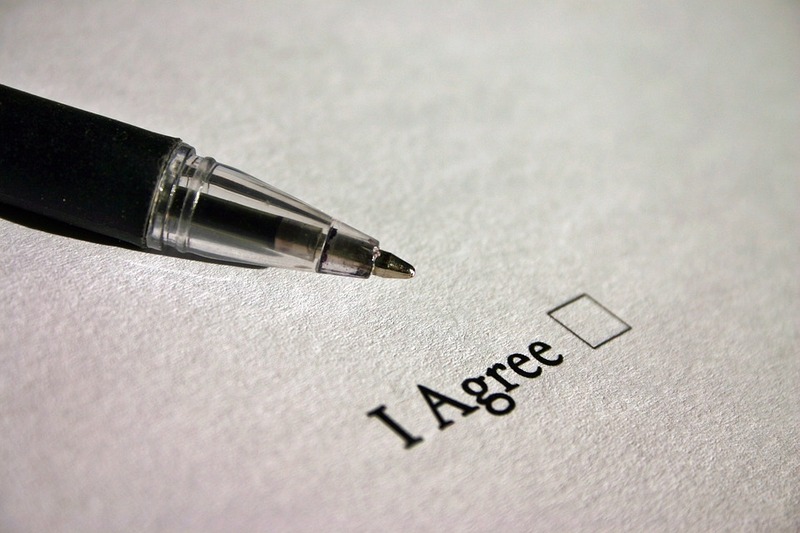 Obtaining informed consent is not only a matter of relaying a list of facts to a patient and acquiring her signature. To be fully informed, patients must have sufficient opportunity to ask questions and to discuss the course of action that will be in their best interests. This is often necessary for the patient’s full understanding of the materially relevant facts; as such, it is most often a prerequisite for autonomous decision-making. Further, since patients differ in their preferences and values, it should not be assumed that patients with similar clinical profiles would necessarily benefit in the same way from the same intervention. Even when statistically equally likely, risks of an intervention may be more significant for one patient than another, given individual differences in personal disposition, circumstances, and goals. 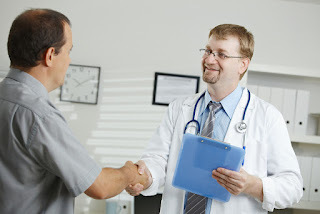 Underscoring the importance of the process of obtaining informed consent, those proposing the ‘liberal rationalist' (3) and other models of doctor-patient decision-making have defended an approach whereby doctors, patients, and in some circumstances family members, engage in a rational discussion about which course of action is best for the patient, all things considered. Such approaches are liberal in the sense of being open to disagreement regarding the value or disvalue that should be accorded to the various risks and benefits of a procedure. They are rationalist in the sense that, although the importance of effects of an intervention may be open to individual evaluation, decision-making about whether to undergo an intervention in the context of this evaluation should be made on the basis of comprehensive factual information, and without errors of reasoning. The ideal consent process outlined above explicitly requires discussion. Clearly, this requirement is going to generate a challenge when the patient or potential research participant has significant or even complete impairment in their capacity to communicate. How will a doctor be able to make sure the patient or potential research participant has understood the materially relevant facts and weighed up the risks and benefits as they pertain to her if she is not able to engage in discussion? Of course, this challenge is not unique to neuroprosthestics. There are relevant parallels with consenting aphasic patients for treatments. Although it should be noted that aphasia and communication impairment are not necessarily the same thing (aphasia is a condition typified by problems with verbal fluency, usually as a result of damage to the brain; patients who are locked-in often do not have damage to language areas of the brain), clinicians have had to find ways to facilitate discussion with aphasic patients to ensure that they have understood the materially relevant facts of a recommended treatment, and have had the opportunity to discuss alternatives. The consent process for such patients may require greater involvement from family members who take on the role of asking questions and offering an explanation of what the aphasic patient is trying to say (4). 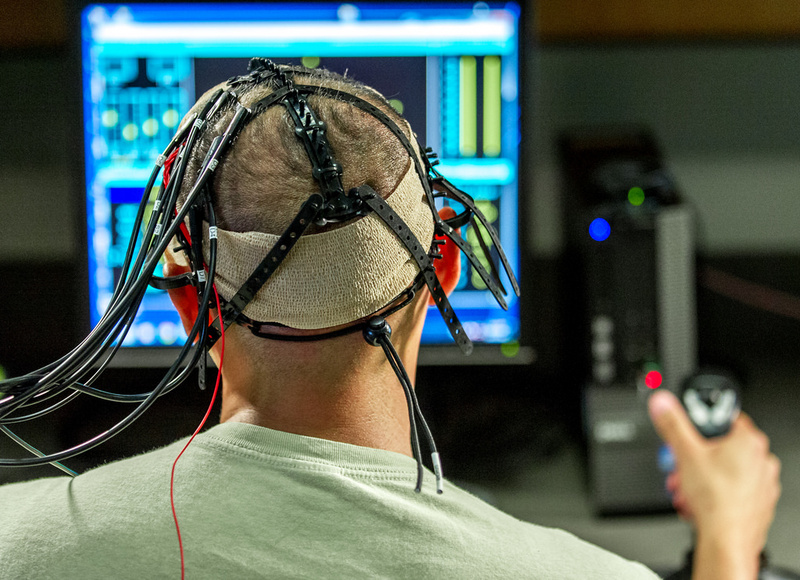 Although similar approaches may be appropriate in the context of consent for neuroprosthetics for speech, the challenge will be particularly acute here, especially as the research and application reaches the target clinical population. This is a function on the one hand of the complexity of the mechanism of the device and on the other hand of the severity of the communicative impairment of the patient or research participant. 1. Whether the device’s benefits should be framed as restoring or as substituting for speech. Making sure the function of the device is not misrepresented has some parallels with the therapeutic misconception and will remain important even at the stage of clinical translation. 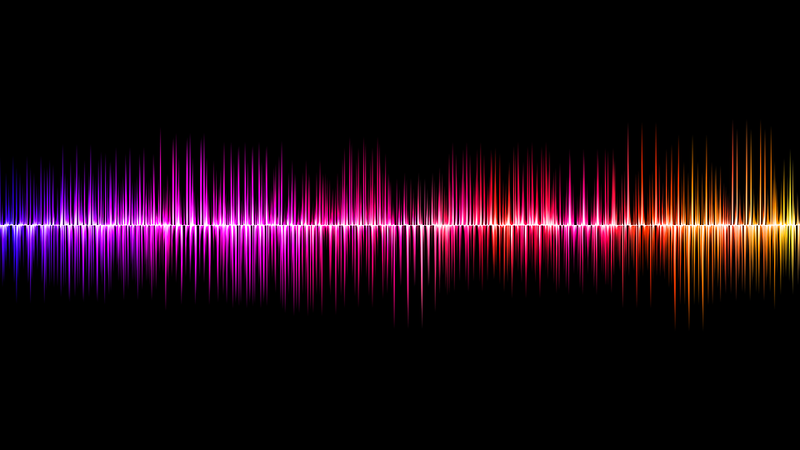 Although it is not yet known how good these devices will be at continuously decoding and synthesising covert speech, if early versions are not able to render the user’s synthesised speech as fluent and articulate as her original speech, any such deficiencies must be clearly explained. 2. How to avoid what might be labelled the ‘voyeuristic misconception’ regarding how the device works. This phrase captures the potential worry that the device will read and externalise all the users thoughts indiscriminately. The fear that the device might permit others to peer into the user’s mind is understandable. However, a challenge in the development of the device is to ensure either that the device can discriminate between covert speech that the user intends to be externalised, and private ‘thoughts’ with linguistic structure, or that some other mechanism of control is built in, such as a verification command. Of course, a misconception is only a misconception if it is not aligned with reality. How the device will operate and what, if any, risk of involuntary ‘speech’ remains will need careful explanation, both to avoid any misconception, but also to acknowledge any risks, if present. These two dimensions of understanding the device and what it will and won’t do will require extensive discussion in order to ensure that consent is sufficiently informed. Researchers and clinicians will need to find ways to engage communicatively impaired patients or research participants in this discussion. The above challenge is not unique to neuroprosthetic devices for speech, even if particularly acute in this context. 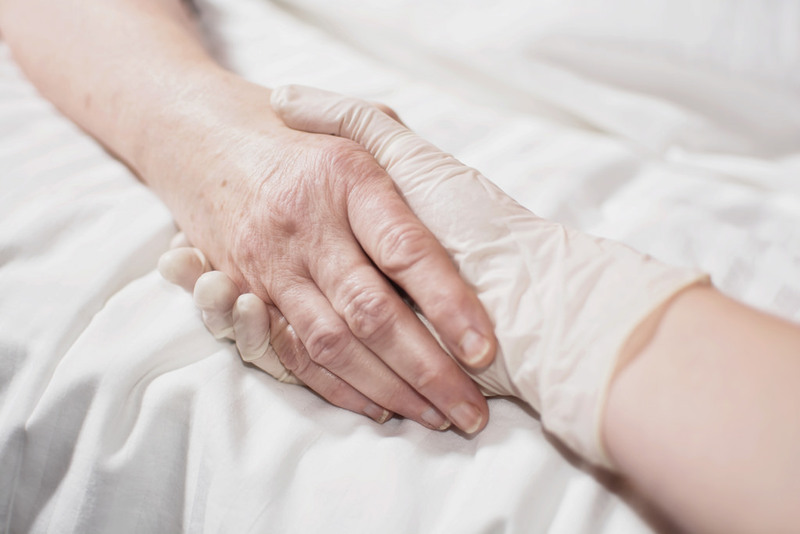 A more unique challenge relating to consent will be confronted in the case that users discuss treatment, or even end of life decisions, via the device. Surrogates are useful and even necessary in playing the role of discussant on the patient’s behalf when the patient cannot do so herself; nonetheless, it is always preferable to engage the patient herself as much as possible, since the surrogate will neither know all the questions the patient might want to ask nor interpret communicative efforts perfectly. 2. whether what is represented (even if accurate) is intended by the patient as a statement of her reflectively endorsed preference or decision. In terms of intention, even if there is a sense in which the synthetic output accurately represents the activity underlying the user’s covert speech, close attention will need to be paid to whether the user intended to express the decision or preference as her rationally endorsed ‘final say’ on the matter. Given the likely absence of accompanying tone of voice, facial expressions, and body language as cues to the speaker’s relationship to what they are saying, extra caution will be warranted. These challenges will not be insurmountable but will require thought and establishment of good practice. The continued role of surrogates and/or additional participants in the discussion will be crucial, as will multiple layers of verification. Ultimately, however, the hope is that the devices under development will allow individuals, who are otherwise precluded from engaging in discussions about what happens to them, to regain the ability to lead this discussion and to participate more fully in their social worlds. 2. Bocquelet, F., Hueber, T., Girin, L., Chabardès, S., & Yvert, B. (2016). Key considerations in designing a speech brain-computer interface. Journal of Physiology-Paris, 110(4), 392-401. 3. Savulescu, J. (1997). Liberal rationalism and medical decision-making. Bioethics, 11(2), 115-129. 4. Stein, J., & Brady Wagner, L. C. (2006). Is informed consent a “yes or no” response? Enhancing the shared decision-making process for persons with aphasia. Topics in stroke rehabilitation, 13(4), 42-46.